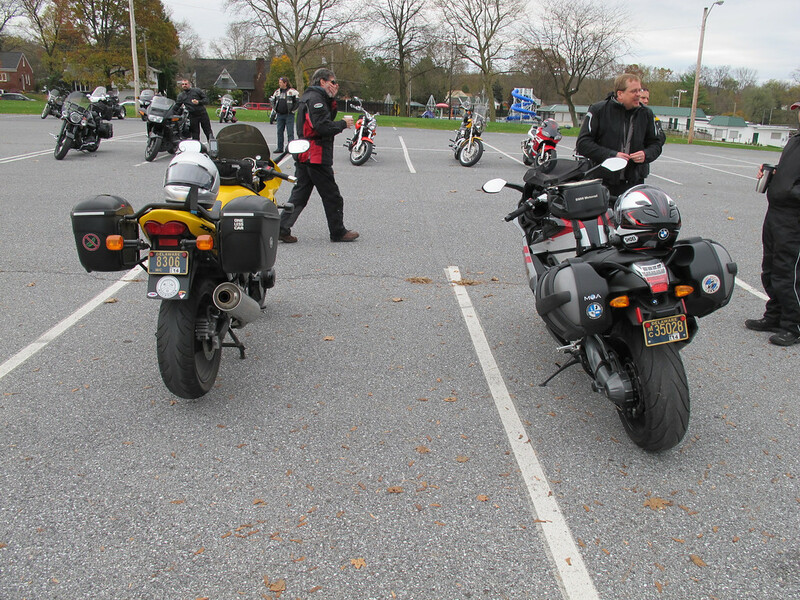 The year's final "First Sunday" ride-in at the American Legion post in Ephrata, PA attracted few, but hardy, riders. Mid-30F temps and heavy clouds were the likely reasons that attendance was perhaps 10% of the usual 500-600 (the warmest, driest days bring over 1,000). Silver linings were the absence of tourists on the back roads -- in fact, near total absence of all piston-powered conveyances (the Amish were out in decent numbers) -- and no waiting at the buffet line. 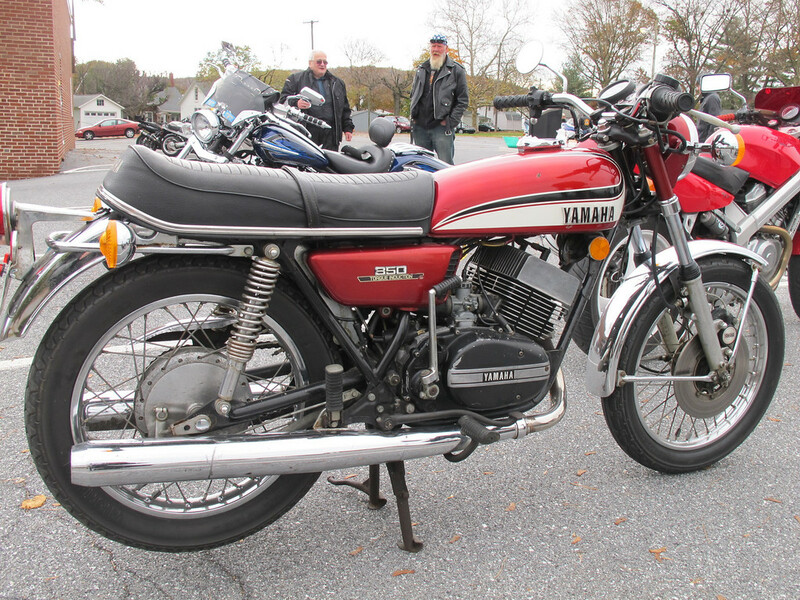 Sport and adventure-touring bikes (particularly BMWs) were in the majority, with the usual smattering of rare, unusual and home-built machinery. The event starts-up again in March 2013; hope to see some of you there. (Search this site or email me for more info if you're unfamiliar with this long-standing event). 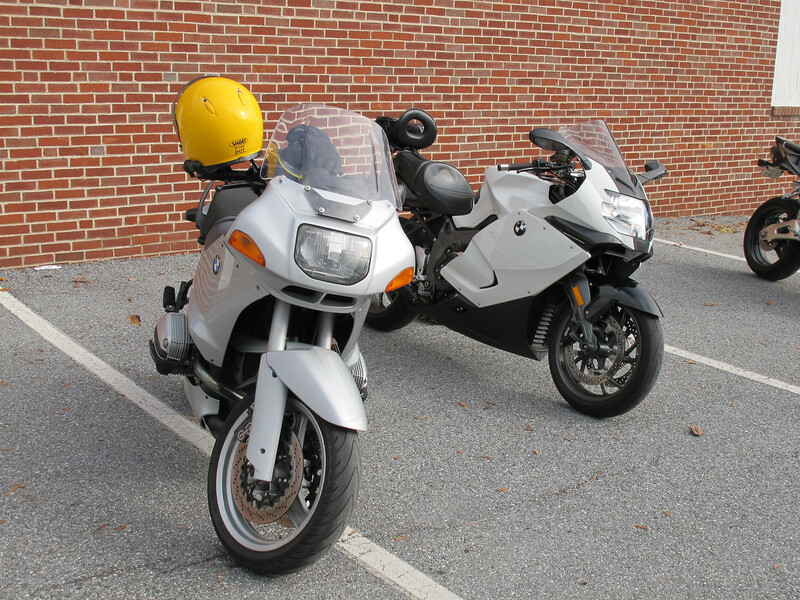 The Yellow Flash, and the BMW K-1300 of fellow Delawearan & ST.N'er "Rodon"
BMW XC of ST.N member "Royal Tiger." 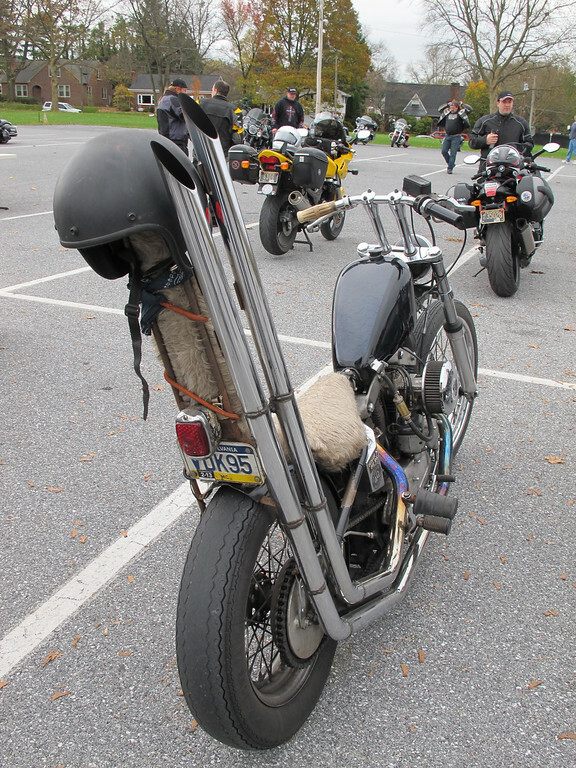 Nice aux fuel tank! 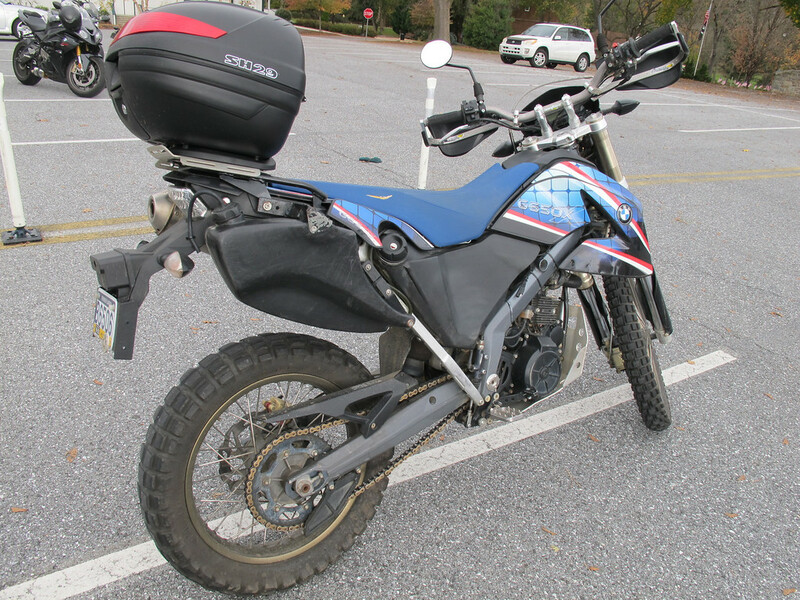 The pilots of these recently did an IBA Saddlesore together.